Fracture, distortion, murky handling of paintthese have long been the mainstays of Georg Baselitz’s art, as this exhibition of his early drawings and paintings indicated. On display were works made during the ’60s, when Baselitz was in headlong rebellion against the School of Paris, which seemed to have reached a dead end in a tachism that had become decorative, and the School of New York, which was witnessing the birth of Pop and Minimalism. 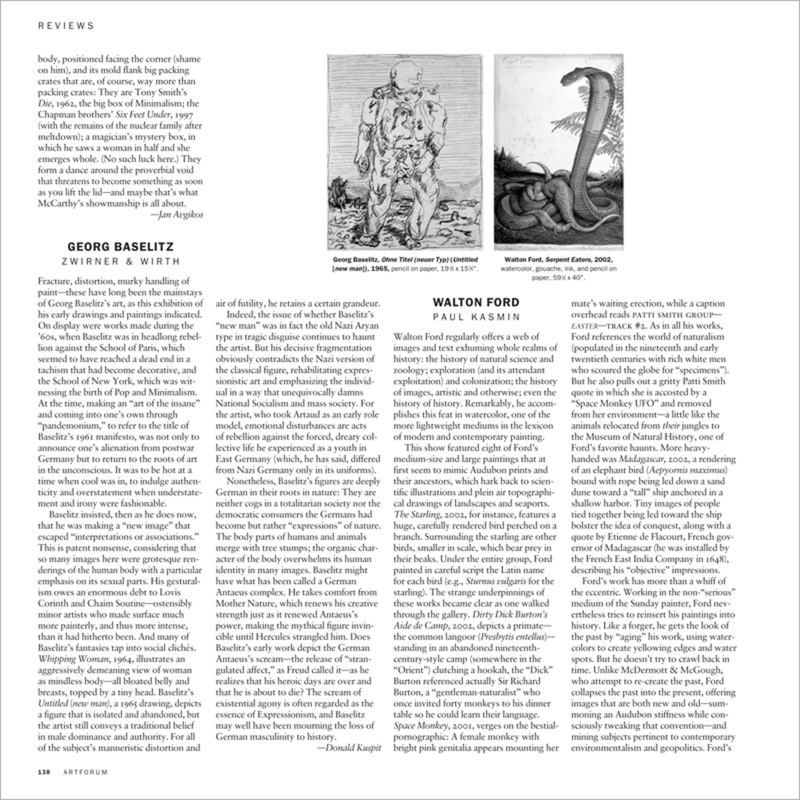 At the time, making an “art of the insane” and coming into one’s own through “pandemonium,” to refer to the title of Baselitz’s 1961 manifesto, was not only to announce one’s alienation from postwar Germany but to return to the roots of art in the unconscious. It was to be hot at a time when cool was in, to indulge authenticity and overstatement when understatement and irony were fashionable.